You hear about an incredible retrospective of early American avant-garde film at your local museum, you mark it on your calendar, you promise yourself you're going to get up off the couch and go...and yet somehow you never quite make it to the exhibition. Your one chance to see early works by Robert Flaherty, Elia Kazan, Marcel Duchamp and Man Ray, among others, is gone! Now, thanks to curator Bruce Posner and producer David Shepard, you've got a second chance to redeem your laziness. Unseen Cinema: Early American Avant-Garde Film 1894-1941 will be nationally released on DVD by Image Entertainment on October 18, 2005. The seven-disc box set of 155 films runs over 20 hours, and features dramas, abstractions, home movies, parodies and animation all created prior to World War II. Posner and Shepard met when the former was touring with the original Unseen Films retrospective in 2001. Posner, who ran the Harvard Film Archive from 1990-1995, originally came up with the idea of putting together the touring collection after swallowing a chicken bone during dinner in 1999. "Twenty-two days and three operations later, I realized it was time to do something big," Posner recalls. "I had always had a specific interest in avant-garde art films, so I decided to find out what happened to all these early American films that had disappeared." 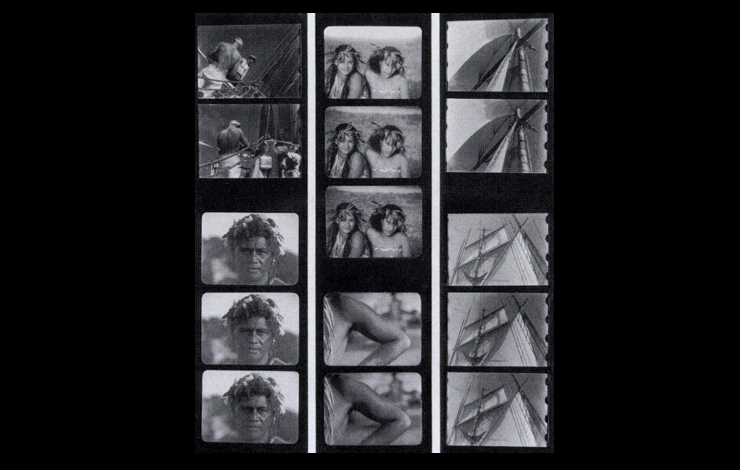 Sixty leading film archives, including the British Film Institute, The Museum of Modern Art, Nederlands Filmmuseum, Paramount Pictures and George Eastman House, cooperated with Anthology Film Archives, the New York-based screening and film preservation center, to compile the touring program. Rights were then renegotiated for the DVD set. Fans of documentary films will notice a few familiar names on the roster of directors whose films are featured in the set. Posner notes that one of the most surprising things he discovered while working on Unseen Cinema was how many documentary filmmakers had come from avant-garde backgrounds. "In the late 1920s-early 1930s, there was no real distinction between the documentary and avant-garde forms," he explains. "The difference really arose in the mid-30s, as filmmakers became more interested in social issues, partly as a result of the Depression." Noted documentarian Robert Flaherty's 24 Dollar Island (1926), which celebrates New York 's skyscrapers, is just one example of this kind of work. According to Posner, "Many had written this off and dismissed it as an incomplete work, but we were able to piece together the film from sources in Russia and Amsterdam to get a pretty complete version of the 35mm film." More information on Unseen Cinema: Early American Avant-Garde Film 1894-1941 can be found at www.unseen-cinema.com. Tamara Krinsky is associate editor of Documentary.